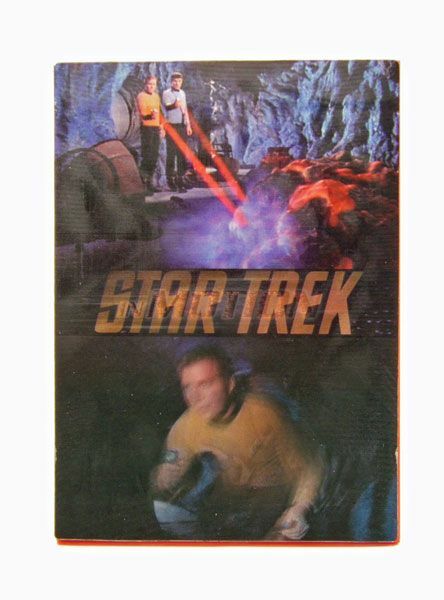 The Rundown: I love Star Trek trading cards, don't you? Well if you don't, you should. They are awesome. There have been some really sweet sets over the years, with Rittenhouse Archives being responsible for the bulk of them. 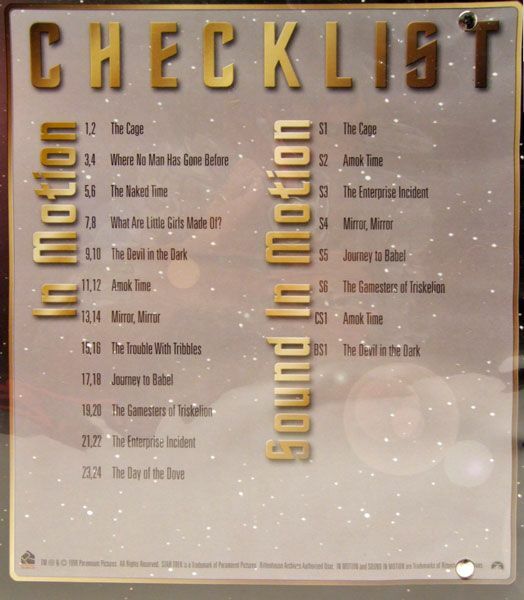 Today we'll look at one of their earliest efforts- Star Trek TOS In Motion. The set was released back in 1999, with a retail price of $4.99 per pack (3 cards per pack, 20 packs per box). 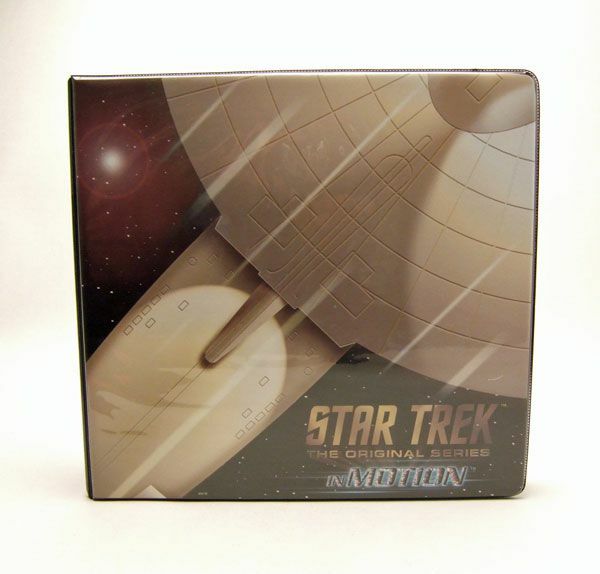 Tilt the card and you get the appearance of movement, thus "In Motion". While the effect is cool, it's a bit on the "herky-jerky" side. This set is over 10 years old now though and Rittenhouse has greatly improved this technology since this early release. 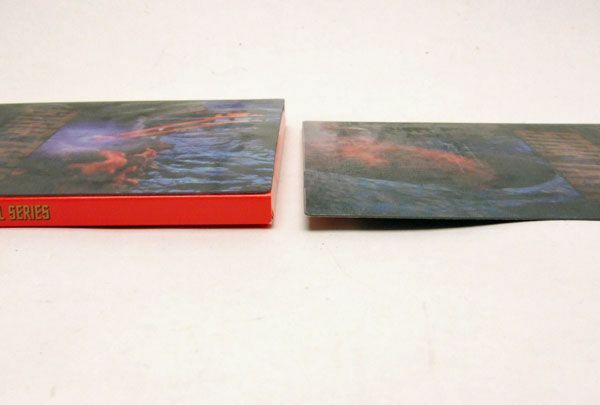 The basic set consists of 24 cards covering 12 different episodes (2 cards per episode). Not really sure why Rittenhouse chose to only go with 12 or why they chose to have 2 cards for each of those episodes (instead of 1 card per episode covering 24 different episodes). Some of the episode choices are pretty odd too, like putting in "What Are Little Girls Made Of?" instead of "Arena". Man, is that cool. 6 sound cards were randomly inserted in packs, 1 came with the binder, and 1 was a case topper. It's pretty difficult to put this set together, and it's tougher still to find ones that still work (though I guess it would be possible to get in there and switch out the batteries). 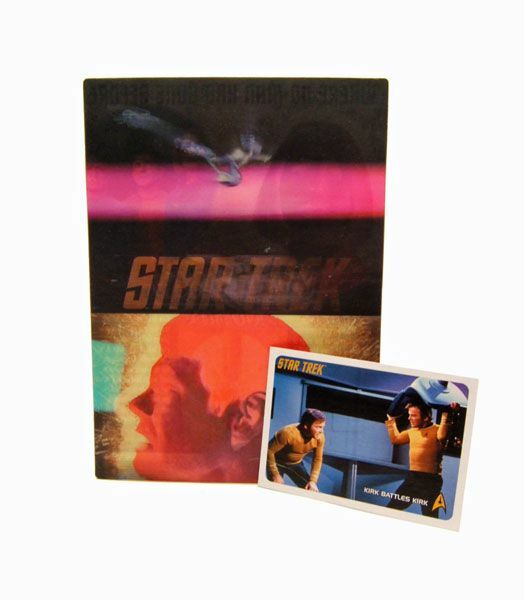 The set is rounded out with a 3 card "DeForest Kelley In Memoriam" subset. All 3 of these cards were limited to 500 pieces and feature a different shot of McCoy on the front. I don't actually own one of these yet, but if I ever do, I'll update the post. 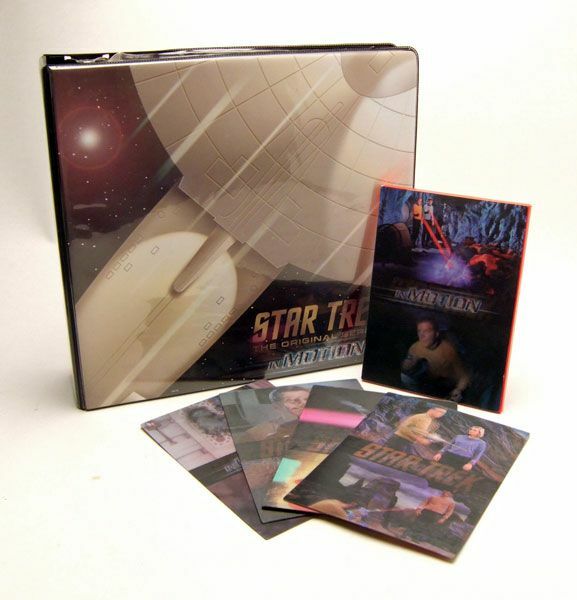 For an early effort, the set is pretty neat, but the small amount of episodes covered and the large size knocks these out of the "must-have" category. I'm really glad that Rittenhouse moved away from this size on some of their later "Motion" releases and made them standard size. The sound cards are way cool though, and it's worth trying to track one of those down just for the novelty. Thare a so cool! Wish I had found them back then. Thanks for the post. Wow, I meant to say "those are so" cool. Fumblefingers today.